and 4 meters in combat painted on their surfaces draw flutes, hit drums while passing through the night streets. according to the children who attended the community party. 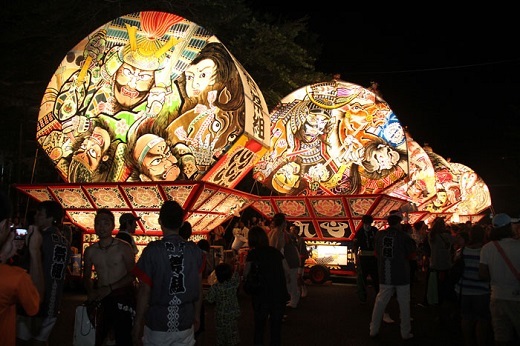 Now it is a communication that the northern festival of Aomori Prefecture is held in Kagoshima of the southern part. It is held on the third Saturday in July every year.